The University of Virginia Darden School of Business today unveiled the new Batten Foundation Darden Worldwide Scholarship program. A $15 million gift from the Batten Foundation unlocked a matching gift from UVA’s Bicentennial Scholars Fund, and the resulting $30 million endowment will ultimately provide every student in Darden’s full-time MBA program a scholarship to attend a Darden Worldwide course at no incremental cost. The gift makes Darden unique among top MBA programs in its ability to offer each student a global experience fully funded by philanthropy. In recent years, Darden has significantly increased its offering of Darden Worldwide courses – faculty-led courses of typically seven to 10 days. Over the past two years, student participation in courses outside the U.S. has more than doubled. This spring, students will have the option to choose from 14 courses on five continents, including courses exploring business in uncertain economic environments in Argentina, artificial intelligence and robotics in Germany, and government’s influence on business in China, among others. 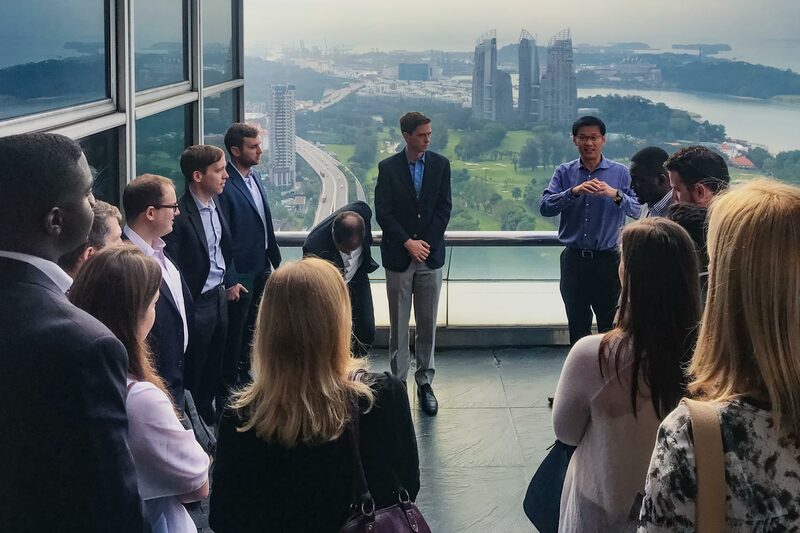 During the courses, students visit local companies, educators and officials, gaining hands-on experiences in new business environments and cultures guided by a Darden faculty member. “Thanks to the Batten Foundation gift and matching funds from the UVA Bicentennial Scholars Fund, Darden will have the support to fulfill its aspiration for 100 percent of full-time MBA students to complete a significant global learning experience outside Charlottesville during their time at the School,” Beardsley said. The Batten Foundation Darden Worldwide Scholarships will have an immediate impact for the MBA Class of 2020, which will arrive in August. For these incoming students, the gift, combined with other philanthropy and Darden investment, will allow Darden to award a scholarship to every student in the class that will cover fees for a Darden Worldwide course, if the course is not already funded. The $15 million gift from the Batten Foundation, a Virginia-based private foundation, was matched 100 percent by the University’s Bicentennial Scholars Fund, a new giving initiative created through UVA’s Strategic Investment Fund. UVA’s Board of Visitors established the Bicentennial Scholars Fund to play a crucial role in making a UVA education accessible and affordable for students from all backgrounds, regardless of their financial situations. The gift is also the largest to the Darden School since the Batten family established the Batten Institute for Entrepreneurship and Innovation through a $60 million gift in 1999. “We are incredibly grateful to the Batten Foundation and its support. As we approach the Third Century Campaign at Darden, this transformational gift sets the tone and provides a strong foundation on which to build,” Beardsley said. “With this inspired gift, thousands of Darden students will be able to personally experience and better understand the world. The Batten Foundation Darden Worldwide Scholarships will ensure that our students are prepared to serve as distinctive leaders defined by global sophistication, entrepreneurial orientation and action-based responsibility, in the workplace and beyond.